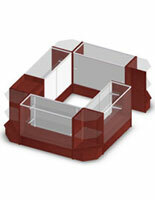 This cash wrap counter offers retailers a complete solution for customer fulfillment. 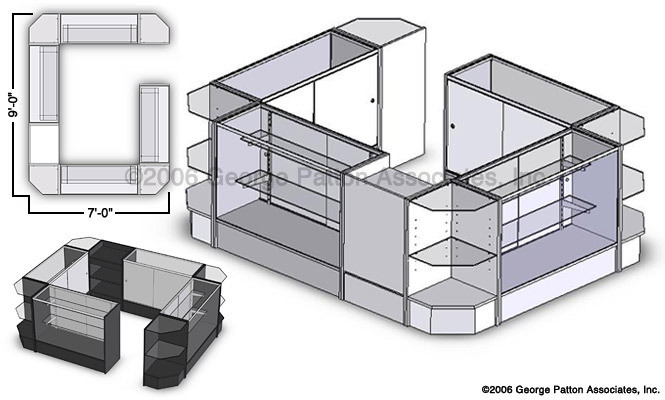 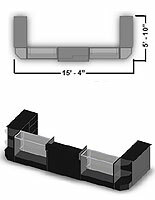 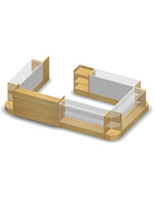 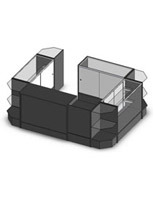 Included in this modular fixture set is a register stand, (4) 48" wide showcases, and (4) corner counters. 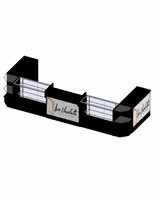 The cash wrap counter is designed for placement in the middle of the room due to all four sides having displayable space. 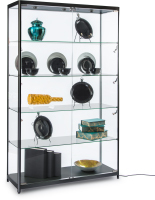 The black melamine with tempered glass shelving proves to be an unbeatable combination for just about any store interior. 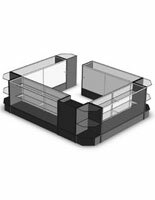 Use the cash wrap showcases for displaying valuables under lock and key, while the counter tops can be utilized for offering impulse buys right near the register.